Earlier this month, Microsoft announced that Teams — the chat-based workspace — is now available to Office 365 customers worldwide. 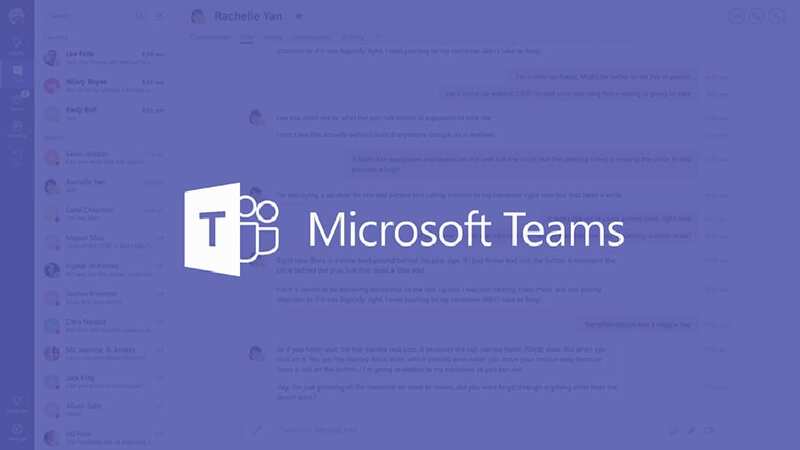 Teams is Microsoft's answer to competing platforms such as Slack and HipChat and is designed to provide an easier way for small groups of people to communicate and collaborate. The beta version was announced back in November and has been previewed and adopted by more than 50,000 organizations around the world. Teams is the hub for team chats, calls, meetings, and messages. The platform is extensible and customizable, and is secured with standards and compliance to make sure sensitive business data remain private. With MS Teams, multiple chat rooms or channels can be created within a Team and to help keep chats easy to follow, conversations are threaded, flow from top to bottom and notify users of updates. If users need face-to-face conversation, they can jump straight into Skype voice or video chats with other channel participants with a single click. Microsoft is marketing the application as more than just a communication hub. What really separates Teams from the competition is its integration with Microsoft's Office suite (Word and Excel, PowerPoint, OneNote, Planner, Power BI and so on), by allowing users to seamlessly and securely switch between editing documents, shared dashboards and planners, and group chat, video and voice calls. The simplicity of just setting up a Team and having access to all these shared services — without the need to spend hours configuring them — is part of what Microsoft sees as Teams' biggest selling point. Teams integration with email also allows messages sent to a designated Team address to be copied to a conversation in Teams. With this integration, documents, spreadsheets, presentations and the like can be shared within a Team and a copy is stored in Microsoft's Cloud or a local SharePoint environment, so every Team member always has access to the latest version. Collaborative editing of this shared content is also possible, with each user's changes reflected in the Office software in real time. Team channels can also communicate with outside services via Connectors. Connectors already exist to push updates from GitHub, Zendesk, MailChimp, SAP SuccessFactors and Salesforce to Teams' channels and an API framework is available to allow more to be built. On launch, Teams shipped with over 70 Connectors and 85 Bots, which can participate in conversations. From within Chat, every Team channel will have access to T-Bot, a bot that can answer simple questions users have about Teams. Access to files, internal sites and dashboards is automatically controlled by Office 365 Groups and SharePoint, with users able to create a new Group or attach the Team to an existing Group when creating the Team. Teams can't be used to communicate and collaborate with people outside of an organization at present, but Microsoft has said it will add a guest access feature by next month. As a Tier 1 Microsoft Cloud Service Provider (CSP) and Office 365 reseller, IT Solutions can help clients with all their O365 needs. To turn on Microsoft Teams for your organization you will need to enable it in the Office 365 admin center. For more information about Teams, or anything else O365-related, contact your VCIO or call us at 215.886.7166.